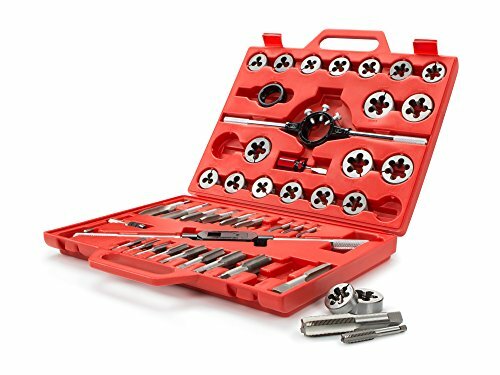 If you need to cut new material or repair old thread that has lost its way, the tap and die set in the go to tool of choice. But with so many on the market today, which is the best one to buy? Well we’re here to answer that very question. We’ve pulled together 5 of the best tap and die sets you can buy and updated our selection for 2018. For a top 5 picks at a glance, head to the table below. For full reviews of each, plus a dedicated buyer’s guide, keep on reading. A tap and die set is one of those near essential tool kits every DIYer should have, but not realise just how important they are until you actually own one. 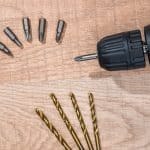 The tap side of things is a simple threaded tool that is used for creating or repairing threads on the inside of a hole in a piece of metal, (you can also use a tap on some types of wood). 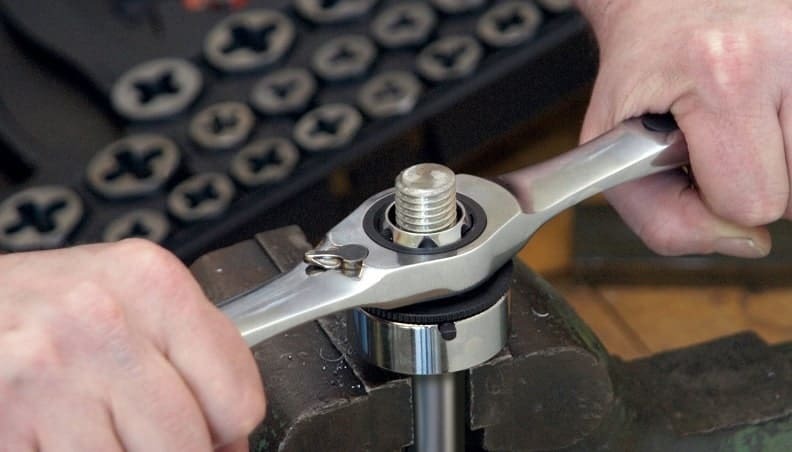 The die is another tool that is used to make threads on a fresh bolt. It can also be used to repair threads on an existing bolt or on a damaged screw. 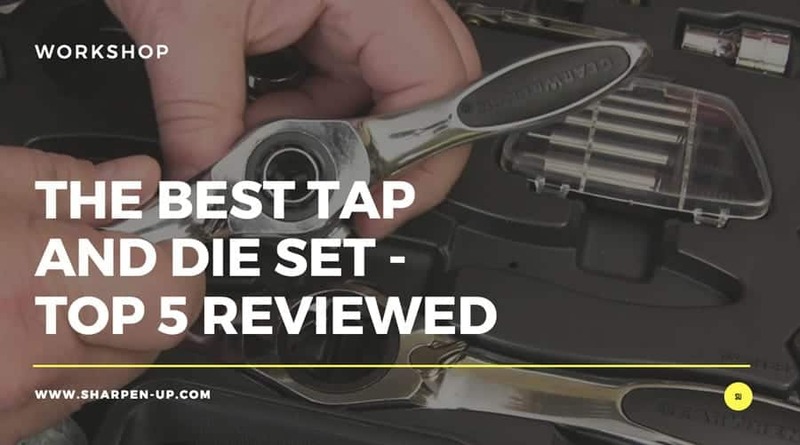 Whether you’re carrying out some repairs on your car or motorbike, or trying to fix things around the home, the tap and die set is an excellent addition to your tool box. 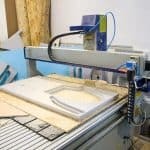 As with any new tool, there are a number of variables you should consider before pulling the trigger on your purchase. The most important factor to consider when buying a new tap and die set is the build quality of the various components. 90% of the time, there is an extremely strong relationship between the purchase price and the quality you can expect. In other words, you should not buy the cheap full sets. 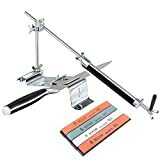 While they may look like excellent value for money, the frustration involved when the threading apparatus actually breaks half way through a job is just too great. 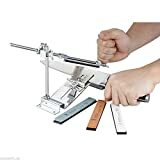 Trying to tap stainless steel with a cheap tap and die set? Forget about it – your tools will very quickly become gnarled and useless. High speed steel or carbon steel? The type of steel used in the construction of the tool, is directly connected to the build quality. Low quality steel forged using mass production line processes will understandably not be as strong as something forged by a master craftsman. The choice you will find on the market today is between high speed steel (HSS) and carbon steel. Purists will always state that HSS is better. However, this consensus exists for a reason. 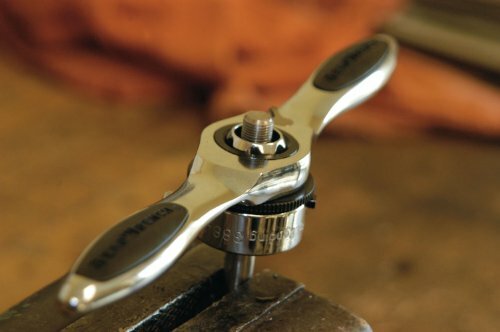 Heavier HSS tools are the ones you will find in professional workshops and industrial settings. The best quality tap and die sets are made from HSS Steel. However, that does not mean carbon steel sets should be ignored. For repairs around the home, these more affordable tools are generally more than adequate. That being said, carbon steel taps and dies are more reliable when chasing threads rather than cutting fresh ones. HSS taps and dies stay sharper for longer and actually require less force, (thus extending their shelf-life further). Essentially, the HSS against Carbon steel argument can be decided on your available budget and the type of work you will be doing. The type of hand your chosen tool utilises is important – especially for beginners. If the handle type is uncomfortable or awkward to use, you will end up making mistakes. 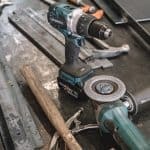 For example if you opt for a tool with a long ratcheting handle, while you will benefit from the increased torque in some ways, the measure of effort you exert has to be controlled. Too much force and you will end up stripping threads, or worse still breaking your taps and dies. On the plus side the ratchet will save you from having to re-position your hands as you turn. However this time saving feature is normally irrelevant for the beginner threader anyway. You’re going to want to take your time. The best advice when starting out is to opt for tools with smaller handles. 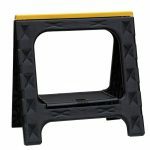 This will give you greater, more precision control and will stop you from applying excessive force or rushing the job. The size of the tap and die sets is extremely important. The SAE size (halves, quarters and eighths) is most widely used in the United States. You are clearly going to need these denominations if you live and work in the USA. Also, when it comes to threads you need to be exact. This means opting for a tap die set that has as many different sizes within the kit as possible. With this in mind, the best tap and die set for the money will actually have a combination of both the most common SAE and Metric sizes. Only then will you be able to work with the precision required for quality results. 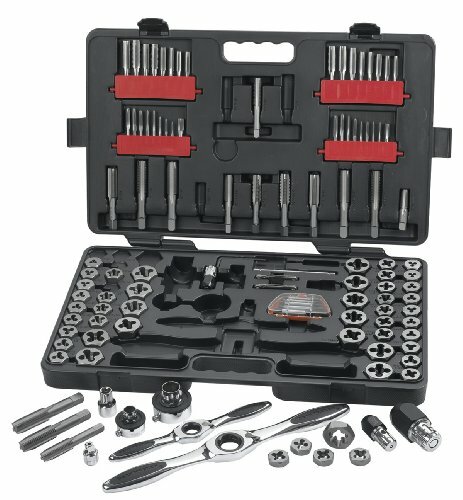 Finally, you should look out for a tap and die set that comes complete with a sturdy storage solution. A sturdy (blow molded is fine) plastic case will ensure that all your tools are safely kept in one place, ready for when you need them. It will protect the tools when not in use, and while you are busy working on a project, you will have them all neatly organised for use. This means looking out for a case that is well designed, not just from a durability stand point, but the actual layout of the tools inside. Some cases will have markings for each component. This is important if you your tools do not have the sizes etched into the metal. Simple labels will eventually wear off, you will be reliant on your storage box to know which size is which. Finally, the fastening element of the box should be strong and reliable. There is nothing worse than opening up the trunk of your car, or pulling your tools from a drawer to find the contents has spilled all over the place. You start the job in a frustrated state of mind, and that is never good. 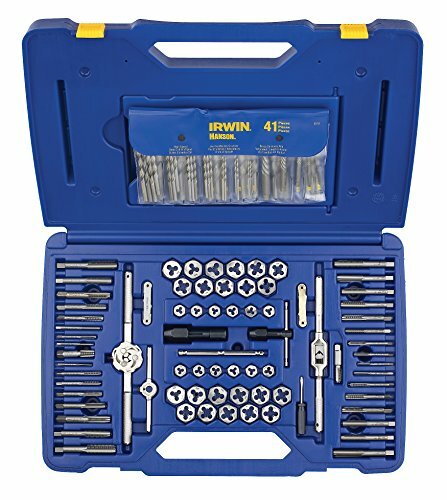 In our opinion the IRWIN HANSON Machine Screw/Fractional/Metric Tap and Hex Die and Drill Bit Deluxe Set, is the best tap and die set you can buy on the market today. 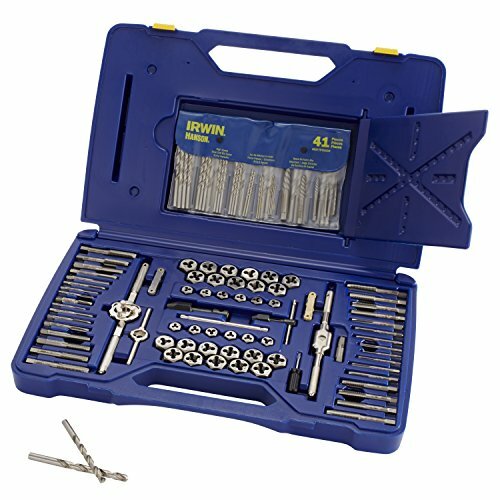 Featuring 117 pieces, this large selection of tools will cover almost any tap and die job you will ever need to carry out. 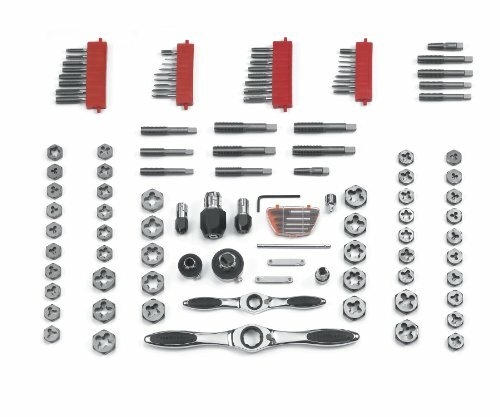 Designed for both craftsman and mechanics, the kit is suitable for both repair and maintenance work as well as creating brand new threads. Irwin Hanson have also made sure that the tools can work on a wide range of materials, including hard, stainless steel. The main components are forged from high carbon steel to provide the durability as well as accuracy to meet the tough demands of threading applications. 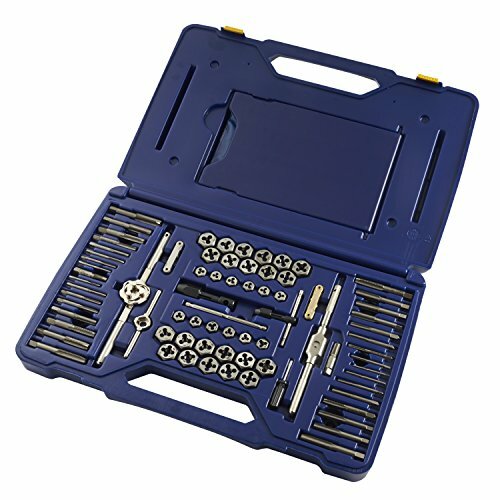 While we have detailed the full 117 pieces included in the set in the toggle below, the components in brief include: 6 machine screw taps and 6 dies, 10 SAE Taps and 10 Dies, 16 Metric Taps and 16 Dies, 2 pipe taps and 2 dies, plus drive tools. A comprehensive set to say the least. What’s more, Irwin also provide a set of high speed steel drill bits for pairing. The build quality is not as good as high speed carbon, however a 117 piece would be a lot more expensive if it was made from the superior grade steel. Don’t allow the fact the Irwin Hanson is made from high carbon steel rather than HSS put you off; this is still a quality piece of equipment, built to last. The 117 pieces will ensure you will never have to look elsewhere for your tap and die jobs. Our number one recommendation for good reason. From the 117 pieces with the Irwin Hanson, we have a similar sized package courtesy of GearWrench. 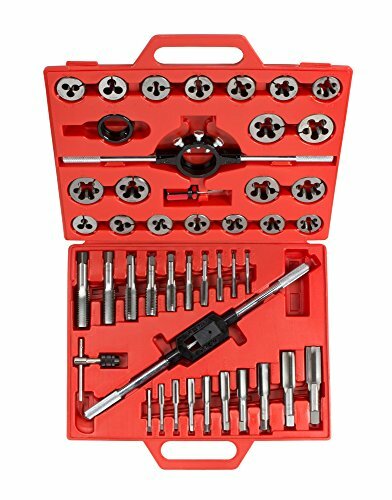 Their 114 pieces Large SAE Metric Ratcheting Tap and Die Set is another good option for those looking for a carbon steel solution that covers almost every conceivable tap and die job you are likely to encounter. One important issue to note is that GearWrench have opted for a 5 degree ratcheting arc with reversible lever as the hand turning option. While this makes for more efficient operation, beginners may find this a little difficult at first as threading control can be compromised. 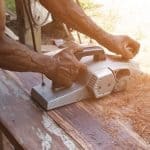 That being said, once you get to grips with it, the system does eliminate hand over hand turning which will offer you faster results. One great feature you have on the GearWrench 82812 is their patented Twist Lock guide system. This has been designed to help reduces back walk of the die guide, while also keeping the dies centred while you cut your threads. Other handy components with the set are the multiple extension adaptors to help you get into those hard to reach areas. The length of the tap and die setup can be adjusted just by combining adaptors and any 38 drive extension. A minority of customers have received the tool with slight damage (marks and scours) on the components. 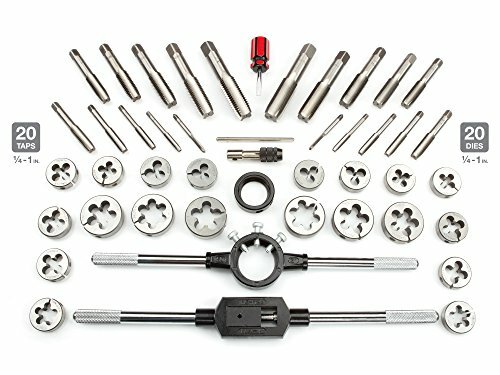 Another well quality tap and die set with enough components to have you covered. With the additional features such as the patented twist lock guide and that generous life time warranty, you really can’t go wrong. A top choice all round. 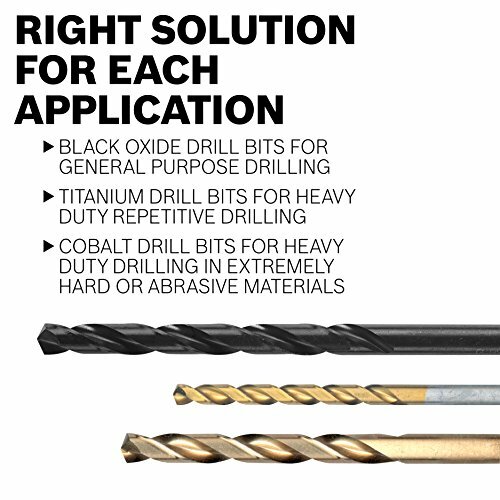 For those that want the extra strength of high speed steel (HSS), this offering from Tekton is definitely worth a look. What you get here is quality over quantity (only 45 pieces are provided with this particular tool), however the tapered plug tap and die components that have been selected are the most commonly used style. They are designed specifically for those essential hand threading applications. And the level of strength you get from an HSS set is impressive. Made from what is known as tungsten alloy HSS, these tools will cut mild carbon and alloy steel, stainless steel as well as cast iron, aluminium, bronze and more. That being said, a minority of customers have stated that the kit is better suited to lighter work. There have also been some complaints that the case is not robust enough. Despite the fact this is made from HSS, some users have found that the build quality is not as tough as you would expect. The case has been the cause for complaint by a number of customers. The Tekton 45 piece is a good choice for those that require less tools but with the versatile HSS quality. However, do consider the fact that the case has been reported as a problem due to bad design and a lacklustre build quality. Bosch need no introduction when it comes to hand and power tools. This well known German brand has been providing quality products for professionals and home DIYers alike for a number of years. It therefore stand to reason that they would have released a tap and die set onto the market. And we are glad to say that this 58 piece offering from Bosch does not disappoint. 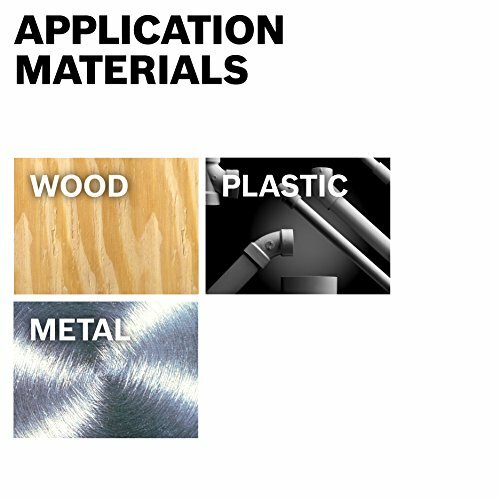 Built to adequately cope for use against aluminium, mild steel as well as stainless steel, the B44713 is able to cut new material or renew existing threads depending on your needs. The manufacturers state that the tools’ no skate tip has bee carefully designed to help reduce bit walking. The same system also means there is no need for a center punch to enjoy a fast and accurate start; just choose your position and go. Build quality is good, (but not the best out of our top 5 picks). A black oxide coating has been used on the various components to ensure increased durability against corrosion. A good kit, but the relatively high price for only 58 pieces is a downfall. 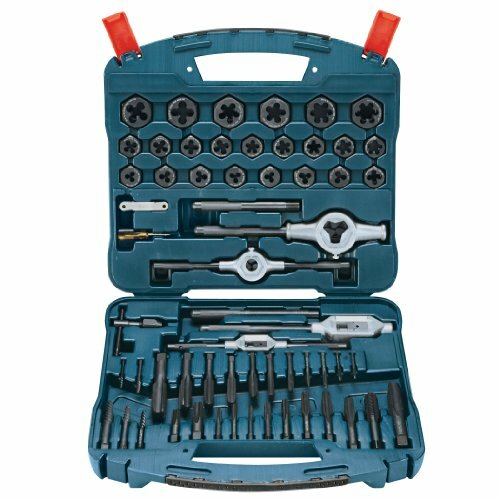 The Bosch B44713 58 piece is a reliable tap and die set. However, it doesn’t quite excite us as much as some of the other offerings in our top 5 round up. It doesn’t have the strength of the Tekton, or the sheer versatility in the number of tools you get with the Irwin Hanson. It will do the job well nonetheless. 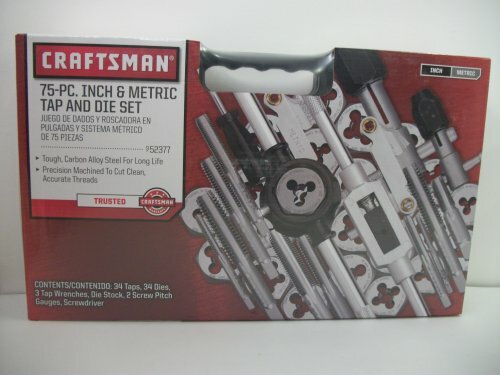 The final entry in our top 5 best tap and die set review round up is this 75-Piece Carbon Steel Set from Craftsman. To be more precise, hardened, precision-ground, polished carbon steel has been used for the components included in the set. Furthermore, each piece has been coated in a rust-resistant satin finish. Not only does this increase the anti-corrosive ability of the tools, it also helps ensure smooth thread cuts are made with less friction. There’s good versatility with this tool from Craftsman. The 75 piece selection includes both SAE and metric size. You’re pretty much covered no matter the cut and die task you wish to carry out. The manufacturers have provided hex-shaped dies, this means the kit is compatible with sockets and wrenches as well as die stocks. A minority of complaints about the overall ‘made in China’ build quality. Chasing Warranty support has been difficult for customers that have needed to fall back on it. 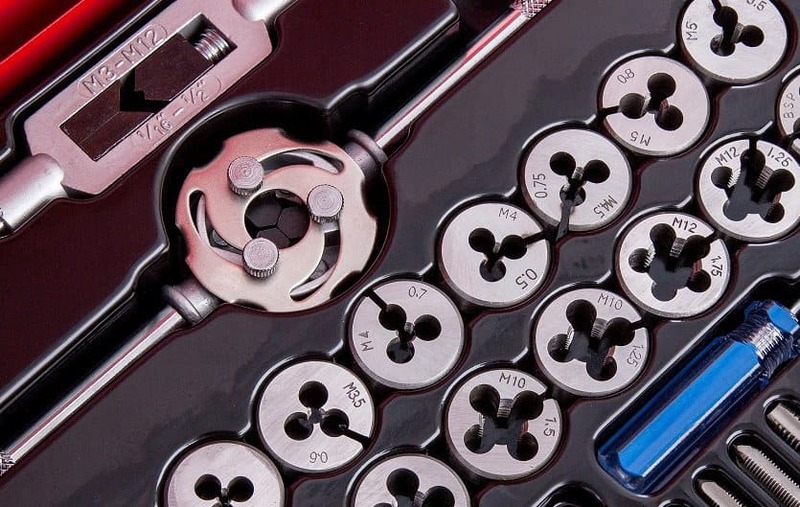 The Craftsman 75 piece is a good option for those that want a versatile tap and die option at a affordable price. While the kit doesn’t really offer any stand out features, it does cover most threading applications. Definitely recommended for the price.